“I know I have lost”…. Loss has been a bit of a theme in this blog off and on. 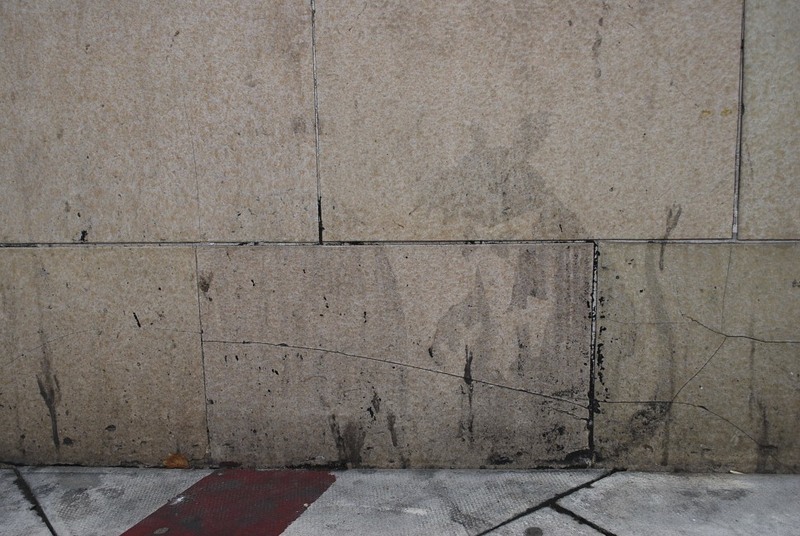 The previous post was called ‘Losing Banksy’ (about the destruction of a Banksy stencil in Melbourne’s CBD), and back in October I wrote about how I felt upon discovering that one of my favourite C215 stencils had been buffed (‘Losing the image’). The location is a side-street near the Tate Modern; I had been doing the ‘walking tour’ that the Tate organised as part of its Street Art exhibition. A number of works had been created and installed in locations close to the museum, and then maps indicating these locations were given to Tate visitors. I had been dutifully walking around the relevant streets, looking at the various images, and feeling that there was something a little sterile, a little forced, about the whole exercise, when I came across these words, meticulously painted onto a wall, not part of the walking tour, placed there by some unknown writer who knows how long ago. In some respects, its meaning is so plain. ‘I know I have lost’: what ambiguity could possibly be said to exist in those words? And yet, it’s worth hesitating over… Lost what, exactly? The way? Self-respect? A ten-pound note? Love? And why not just state “I have lost’? It’s the conjoining of ‘I know’ with ‘I have lost’ that makes it so powerful – it’s not simply that something has been lost. Loss is registered through our knowledge of the fact of loss. Over the weekend, I had been going to write about how simple and how satisfying I think this is; however, the destruction of the Banksy stencil, and the media reaction to it, provided a more pressing issue. But then Monday brought news of another loss: my partner learned that his father had died suddenly. It’s hard to do justice to the magnitude of that kind of pain, but in some strange way the ambiguity of those simple words on a wall in Southwark have sedimented the grief and sadness experienced over the last few days. ‘I know I have lost’. Recently I wrote about buffing, the different ways in which councils, governments and property owners seek to erase any graffiti or street art that has been added to a wall or surface. For many works of street art, the buff represents their fate, sometimes far sooner than the artist would like. 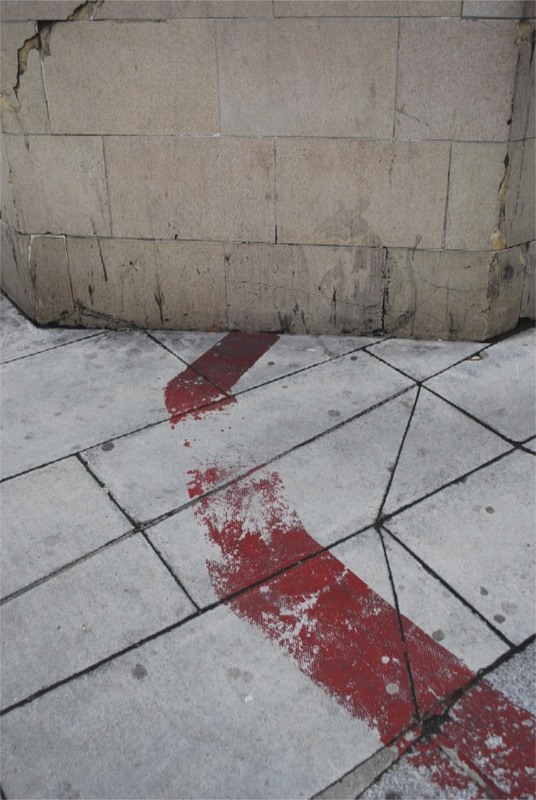 One day the image is there, next day it’s gone – painted over, scraped off. But sometimes an image evades the buff and remains in place for a long, long time. Its longevity might derive from its being tucked away in a hard-to-notice spot, so that years go by and the work has actually only been seen by a few people. Or it might have been placed somewhere that’s hard to reach – hard for the artist who put it there, but also hard for any cleaning crew, which means that a work can stay up for years. And sometimes, even when a work is prominently visible, easy to access, and illegally located, it somehow escapes the buff, and just slowly and gradually disappears, fading back into the stone. Within street art culture, there seems to be a lot of admiration, and often rightly so, for newly painted work: images that look glossy and shiny, which haven’t been weathered or degraded in any way (by the addition of tags or the application of posters on top, for example). And I’ve heard people say that work which is fading ‘looks old’, ‘tired’ and so on, and to a certain extent that’s true. But some artists like to see the effects of these external forces and circumstances on their artworks. Miso, for example, is interested in the peeling and fraying that can arise when a pasted-up image experiences the effects of hot sun, rain, wind. And JR’s pasted-up photographic posters register the impact of the environment pretty fast – his work on the façade of the Tate Modern was repaired by the gallery after only a matter of weeks in place, thanks to a damp British summer. For these artists, though, the possibility of deterioration isn’t a problem, but is rather an integral part of their artistic practice – it’s something they actively invite. Beyond this, though, I think it’s also worth looking at fading artworks, even when that gradual disappearance and deterioration isn’t part of the artist’s stated intentions. It takes quite a time for a painted work on stone to fade – usually months or even years, which means these greying images have a lifespan that’s quite remarkable given the frequency of buffing and going-over by other artists. 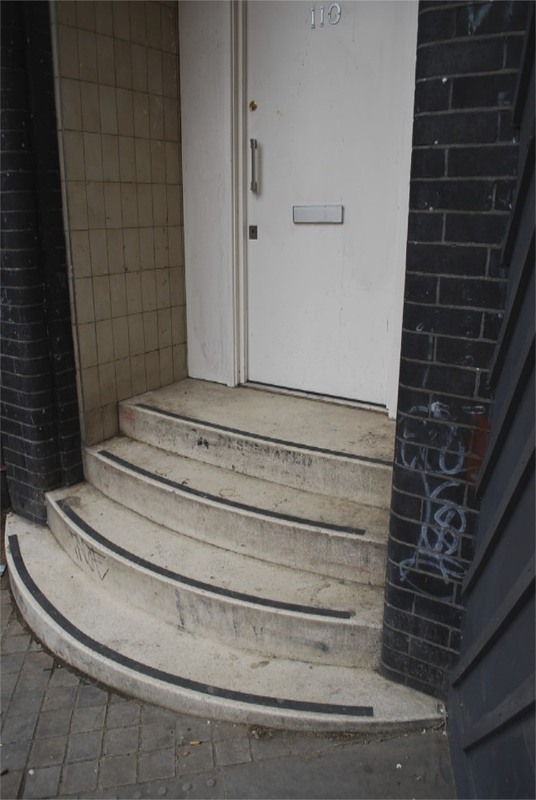 It reads ‘designated picnic area’ and is stencilled on the steps of an office building in a busy road in Shoreditch in London. It’s scarcely legible now, almost vanished back into the steps, its humour and incongruity about to depart the scene. These rats were kitted out as waiters in a fancy restaurant, with the red smudge actually a red carpet. The rats have faded more than the red carpet, and you need to know what was there in order to make sense of what remains. I’m indebted in this respect to Martin Bull’s useful little book, Banksy Locations and Tours (details available from his website), which has a photograph of the work before it started to fade. So how should we make sense of the fading artwork? Do we dismiss it as occupying some transitional zone between ‘freshness’ and oblivion? Do we paint over it so that new work can take its place? Does its faded nature mean that it is no longer worth noticing or thinking about? In some ways, I think it’s the very ‘in between-ness’ of the fading image that makes it interesting. Not quite here and not quite gone, maybe having an almost historical value as a record of what was done in the past, but gradually relinquishing any claim on our attention amidst the visual hubbub of the contemporary city. So next time you walk through the streets, perhaps it’s worth paying homage to these fading images, these survivors who have, through chance or circumstance, escaped both the buff and the privileging of the new work of art.